Who says Santa Claus doesn’t exist? Thank you, Arte Moreno, for your overwhelming generosity this offseason; and thank you Jerry DiPoto for being a capable GM and getting this done. Forget about Christmas…let’s get ready for Spring Training. 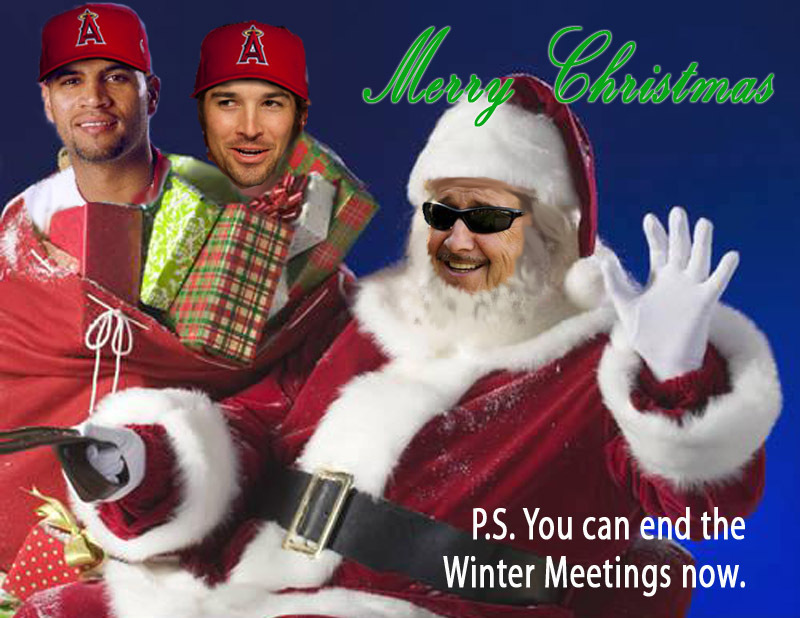 This entry was posted in Sports and tagged Albert Pujols, Angels, Arte Moreno, baseball, CJ Wilson, Los Angeles by Troy Beckman. Bookmark the permalink.